Just seen it on SSN- absolutely awful. I do wonder if the keeping coach could be the problem. 2 keepers are making very similar, daft mistakes! Goalie at fault according to Radio Lancs? The commentary is absolutely dreadful though- I’m finding it really hard to tell what’s going on listening. I’ve been impressed with him this year- sounds like he’s off the pace today though. God forbid- some on here would have a meltdown at the thought of Mowbray doing well. 🤣 Sounds an entertaining game on Radio Lancs, but the commentary is once again very poor. I’ve voted for him to stay. It hasn’t been perfect this year, but he’s achieved what I wanted- survival. I might get slated for saying this on here by some, but looking ahead, another mid table finish next season would keep me happy, especially with some of the daft money that’s being chucked around. Here’s something that’s cropped up on Twitter- Wouldn’t it be great to send them down on Monday, if they can cling on, on Friday? Couldn’t agree more, especially about Williams. I’ve been really impressed with him since shifting to centre back against Derby. Get in! I can’t think of a more apathetic from a Radio Lancs commentator though to a goal though! 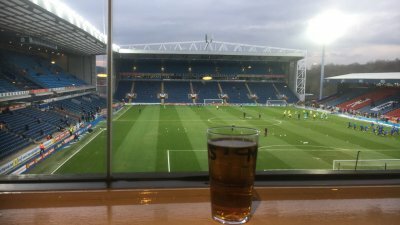 I voted yes- I enjoy going to the football on a Saturday and have an excellent view in the Blackburn End. I’ve also noticed comments about Norwich and Bristol City already selling a good few for next year. With all due respect, both have far bigger catchment areas than us, and both could be in the Premier League. We’re a small town that’s more than likely going to be in the same league for 19/20. No- they tried that at the end of Bowyer’s period, bring in a load of cheap players who must have been on next nothing. The result? 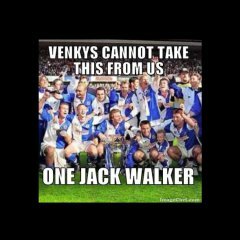 We struggled and Bowyer got sacked. The only club I’ve heard of making a profit away from the top flight is Walsall- I’ve no doubt there’s a few other tinpot outfits that do too. Most football clubs will never make a profit outside the top flight, due to wage demands etc.,unless a completely different business model is adopted, meaning the incorporation of something like house rentals is placed under a club’s name, meaning tenants’ rents go directly into the club’s cash flow . I think that’s what Millwall are trying to do with their stadium redevelopment, and maybe Brentford. Don’t quote me on that though! Would it be such a daft idea for Venky’s to put a couple of million into detached properties around England, and rent them out? They could use the money earnt to begin cutting the club’s debt (if that’s even legal). Maybe it comes down to the sheer embarrassment of what’s happened, that they feel they have to put it right. I once spoke to an Indian chap at a Tube station, who’d emigrated to London; he was embarrassed about what they’d done to us. It was on the relegation day at Brentford, after the game. I also wonder about the dirty agent deals that have happened too, and whether much of that was legal. Not to compare the two, but how much Uncle Jack spend over the course of his ownership? Surely it can’t too dissimilar to what these clowns have spaffed up the wall, taking out the fact Jack would have spent more in today’s game. Christ, can you imagine if they’d have given Allaradyce £250 million to spend, alongside some of the TV money? 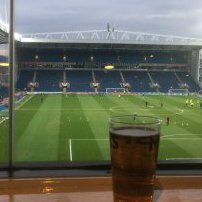 I feel sick about where we’d probably be sat now. Instead, we’ve enjoyed away days at Walsall, Southend and Oldham. How someone hasn’t taken those ‘advisors’ to court yet, from Venky’s, is unbelievable! Mowbray’s job was to keep us up this year, nothing more, nothing less. He’s done that: Should he address the defensive situation in summer (and give Derek Williams to a club in League 1), we’ll progress. If he doesn’t, he be out of a job, because we’ll be in a relegation battle.